Paying for parking at University of New Brunswick’s Saint John campus can now be done with the tap of a button. 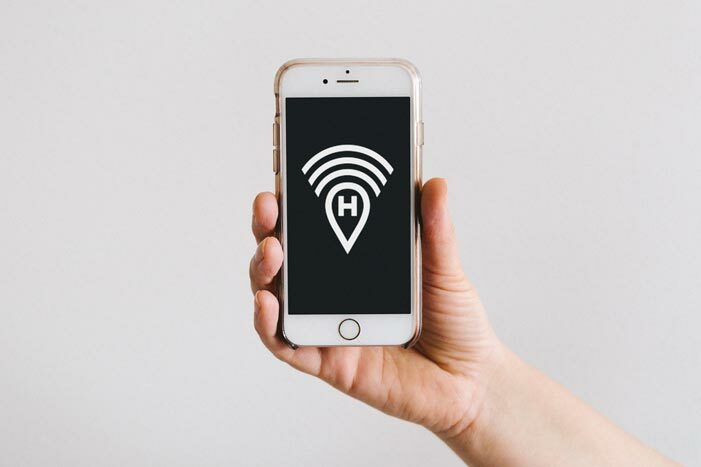 HotSpot will bring their pay-by-smartphone parking service to the Saint John campus on May 1. The real-time parking solution, which was incubated by UNB’s J Herbert Smith Centre for Technology Management & Entrepreneurship, allows users to pay for metered or hourly parking with the ease of an app. Until now, all parking on the Saint John campus required a permit, a flat rate display stub of $5 for a day, or the use of one-hour coin meters. Now, users can download the app, input their vehicle’s information, the applicable meter or kiosk number and the amount of time required – and walk away. “Having HotSpot Parking on campus will provide a quick, easy and convenient way for folks coming to campus to park. No longer will anyone need to worry about rushing out from a class or a meeting to feed the meter,” says David Gillespie, director of environmental health, safety & security. HotSpot will be available at 20 meters and three pay stations serving 1,170 parking spaces around the Saint John campus. The only areas that will not accept HotSpot Parking are those designated specifically for faculty, staff, residence and the designated two-hour visitor parking spots. UNB’s Fredericton campus has used HotSpot for visitor parking since 2016. The app is currently available on iOS and Android. Users can access the same functionality and services through HotSpot.